Is your baby ready to move on from purees? Nervous about giving lumps or pieces? Want to know more about finger foods? 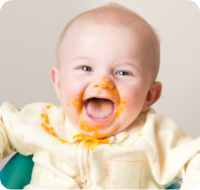 Does your baby gag on lumpy foods? Worried about the risk of choking and want to be prepared?